Their children, the second generation born free, took the advice to heart, attending college and becoming teachers and professionals. One of them, Gladys Cooper Kidd Jennings, became the first African-American woman to earn a master’s degree from Washington State College in 1948. She returned to teach food science and nutrition in 1966, and has taught, mentored, recruited, and inspired hundreds of WSU students over the past 50 years. After earning her bachelor’s degree in dietetics from Ohio State University in 1945, Jennings worked for a year and then decided to pursue a master’s degree, first committing to Cornell University. “WSC got back to me late, but they offered a teaching fellowship. That was something new, something I hadn’t done before,” she says. Also, she thought Washington was near to California, where a sister lived. “There were one or two black people on campus,” she says. “It was like being on exhibit and a spokesperson for my race all the time.” She made friends with the only African-American family living in Pullman and joined the International Club. Everyone in her department and college was friendly and helpful as she earned her master’s degree in foods and nutrition. She says her WSC education served her well over the next 18 years of her career. In 1954 she went to London on a Fulbright Scholarship and worked with the Ministry of Food to research food choices during World War II. 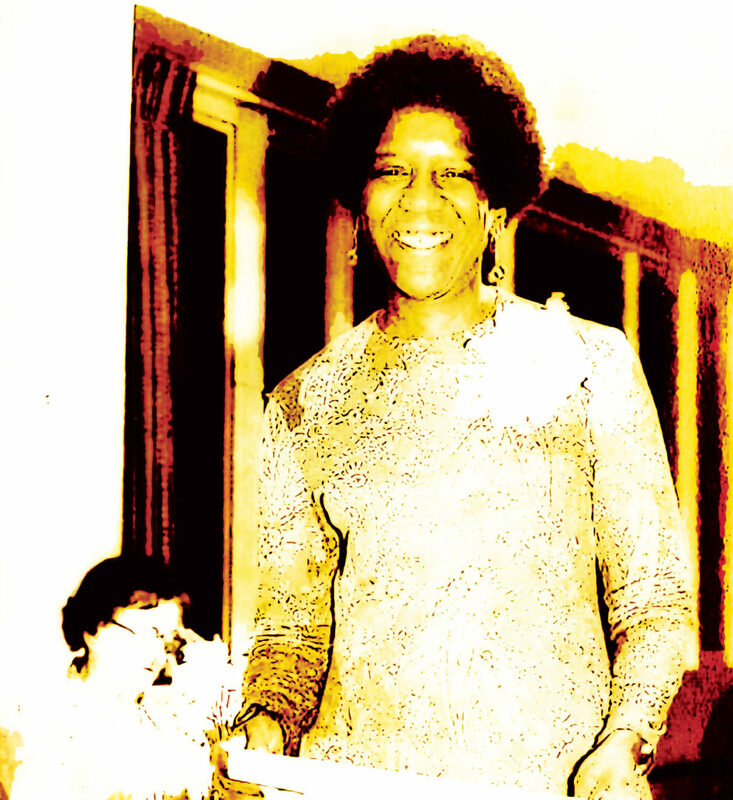 She taught at Syracuse University and North Carolina College before chairing the Home Economics Department at Spelman College in Atlanta from 1955 to 1961. During and after a short marriage, she worked as a registered dietician working with special diets at Grant Hospital in Columbus. Friends at WSU told her about an opening for an associate professor in the Department of Foods and Nutrition and Institute Management. She says she never imagined a career as a K–12 teacher, but found she loved teaching and mentoring college students, staying in the classroom for 25 years from 1966 to 1991. Jennings enjoyed creating course material, especially serving on the committee that developed WSU’s first Black Studies courses and forming and teaching Black community health and nutrition. “I taught upper level classes on health disparities and international nutrition,” she says. “I worked in cooperation with graduate students on health and nutrition of African people—the countries and topics depended on the students’ interests.” Closer to home, she was interested in nutrition in the African-American community and worked with WSU Cooperative Extension to expand their food and nutrition program. She studied the federal Women, Infants and Children (WIC) food program. “It made a good difference, especially since the mothers shared the food with their other children.” She also helped study the school lunch program. “If the kids ate it, they were healthier,” she says. “But we discovered that one meal a day may not be enough.” As she contemplates problems with high sugar consumption in the African-American community, she looks beyond individual choice to the advertising and promotion of sugary drinks and poor living conditions that limit food choices. After moving with her husband to Mill Creek, north of Seattle, Jennings worked as a part-time recruiter, especially for students of color, to the WSU College of Agricultural, Human, and Natural Resource Sciences, until 2008. The achievements of her students—along with those of her daughter and adult granddaughters—are her greatest legacy, says the 92-year-old Jennings. She points to a former international student, Annie Mtika ’90 MS, ’95 PhD, and her family who formed Pamoza International, a nonprofit development organization working in Malawi. Another student, Ethan Bergman ’86 PhD, is associate dean and professor of Food Science and Nutrition at Central Washington University and past president of the Academy of Nutrition and Dietetics. She was the first advisor for Diane Kolb ’84, now vice president of the WSU Alumni Association, and they’ve been friends for 40 years. “My greatest tribute is that she said I inspired her to be the best she could be,” Jennings says.